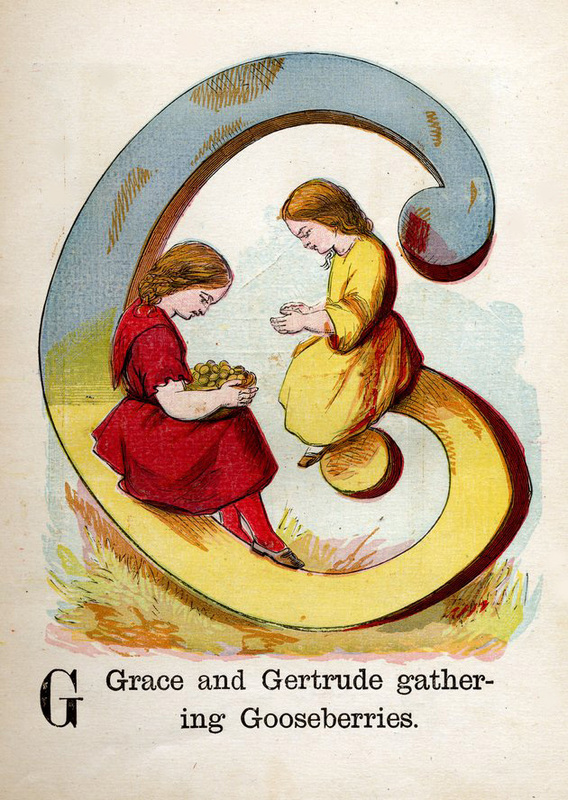 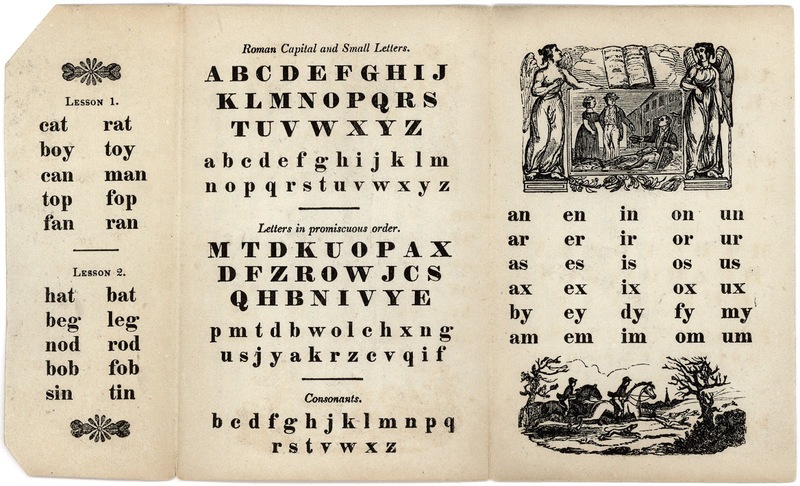 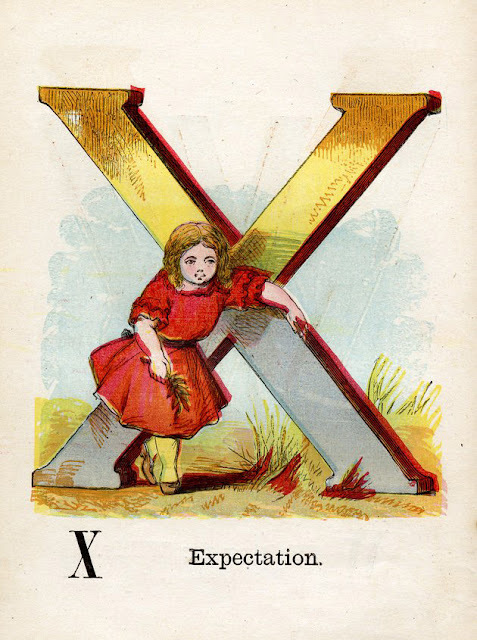 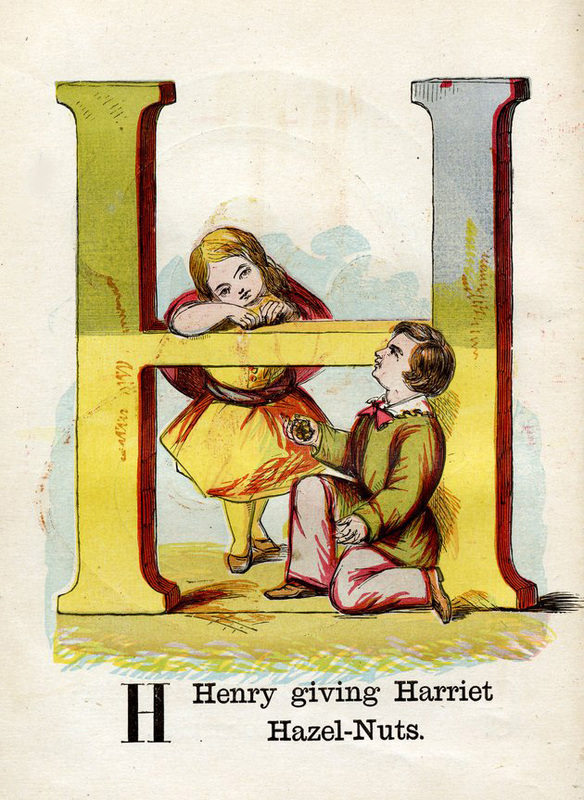 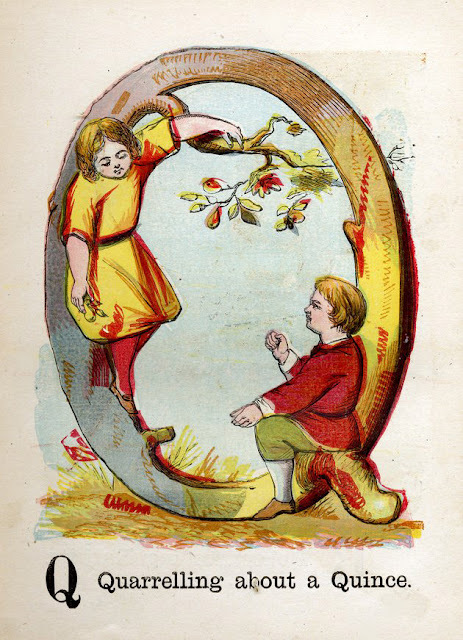 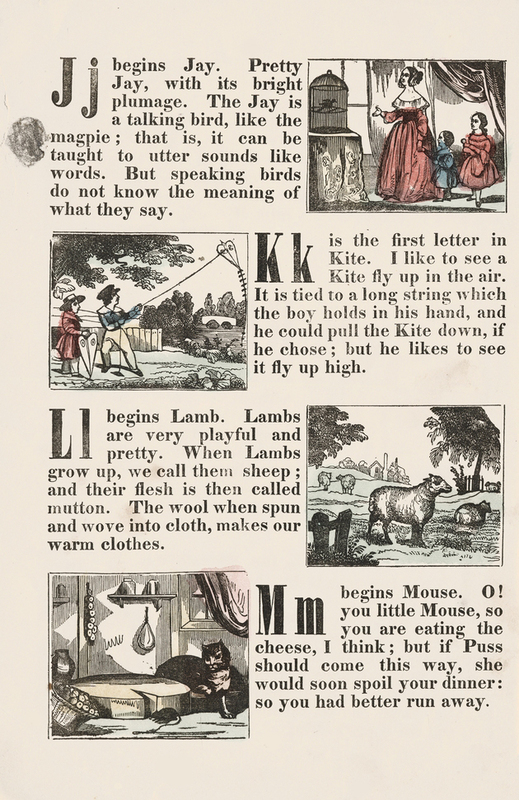 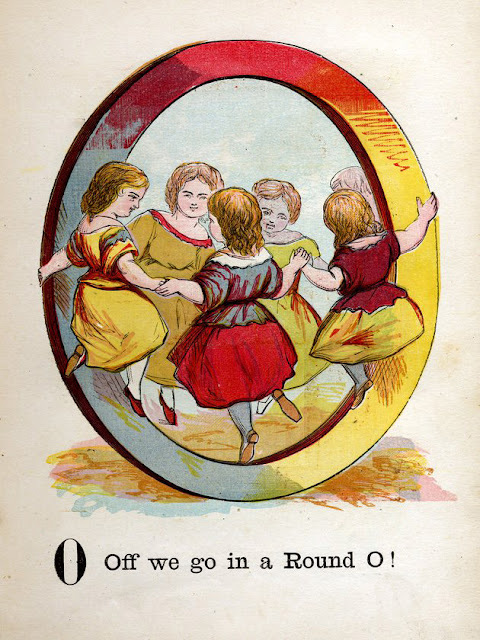 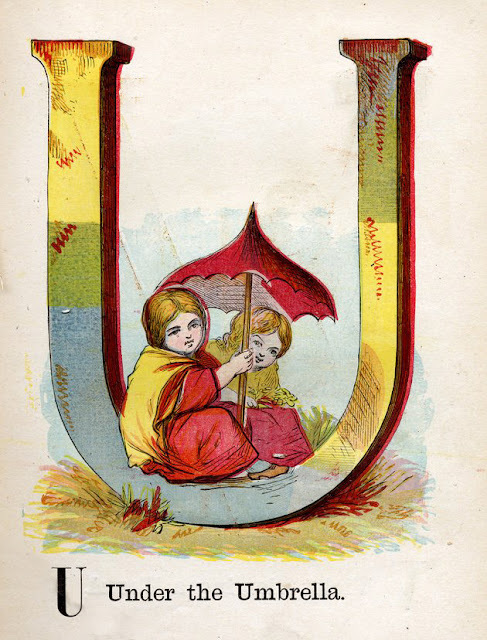 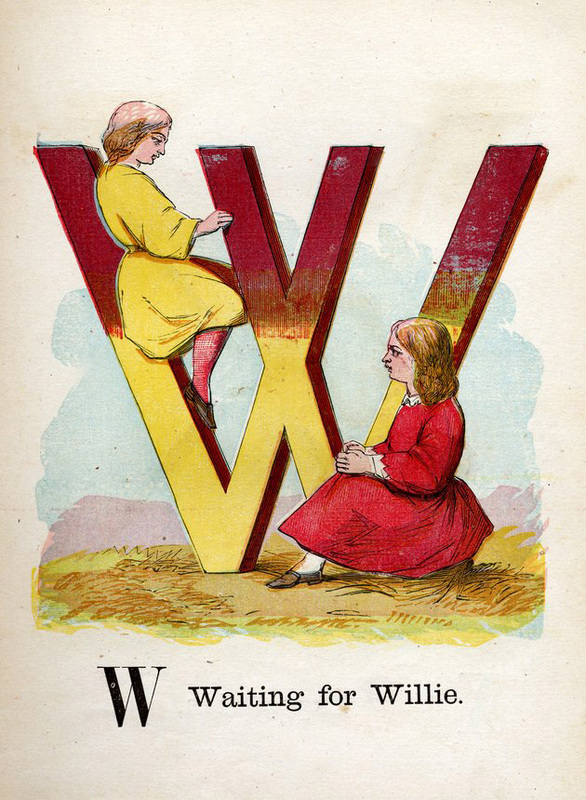 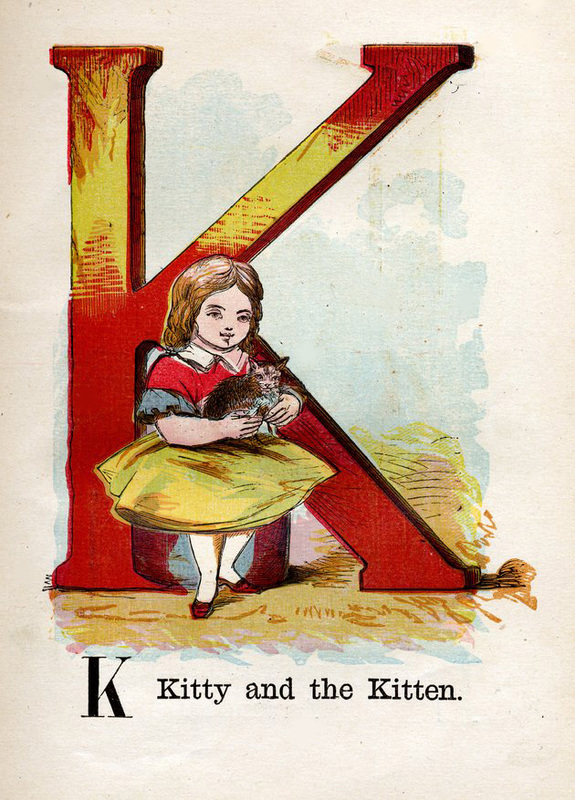 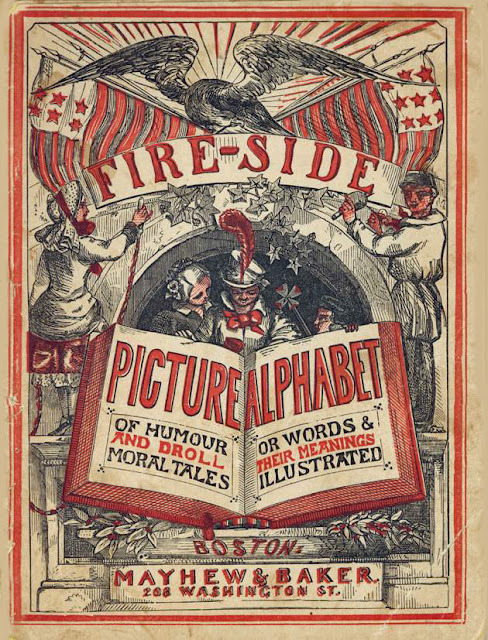 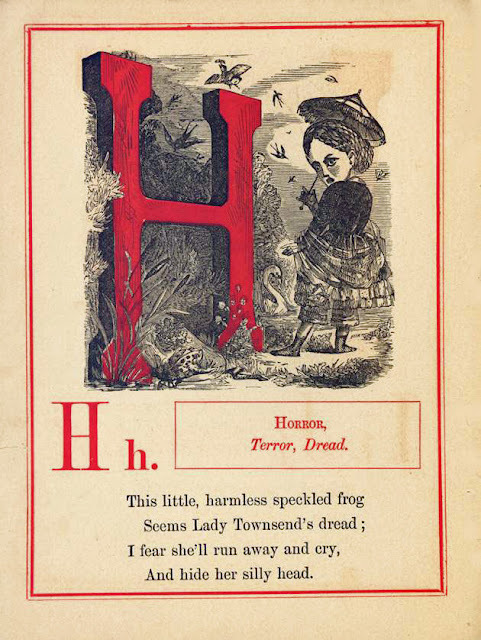 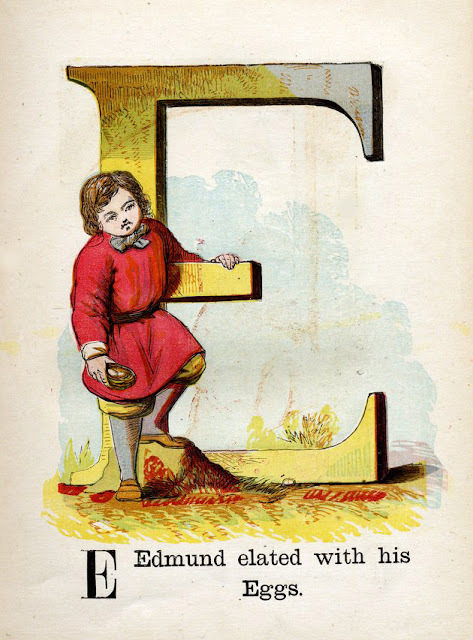 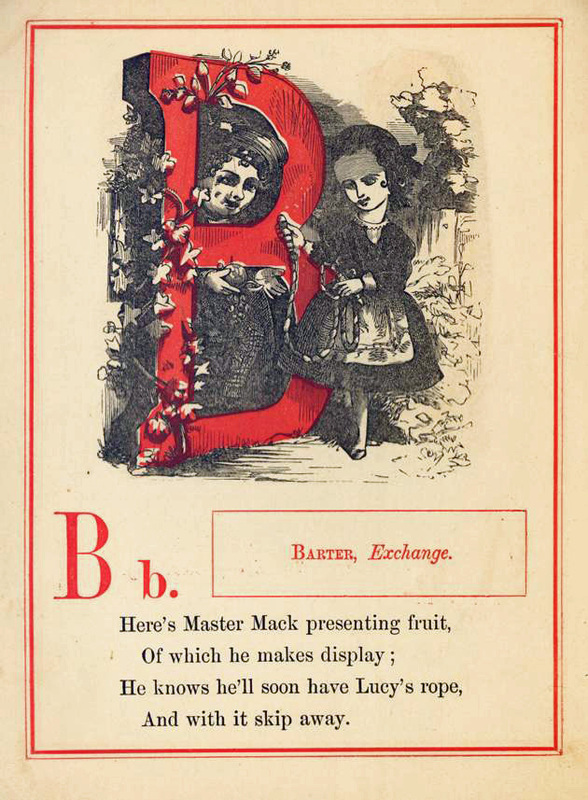 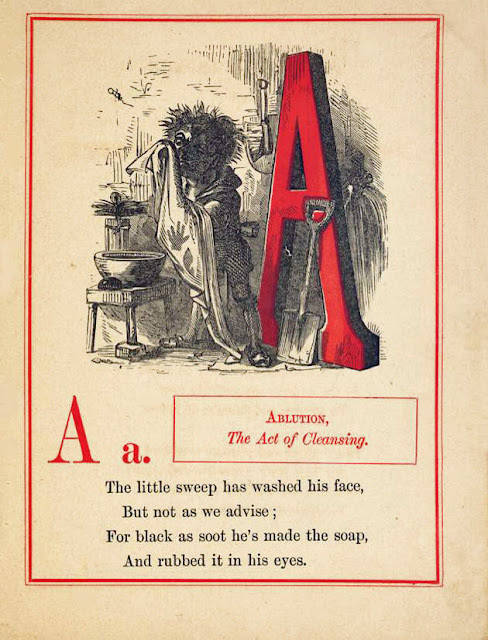 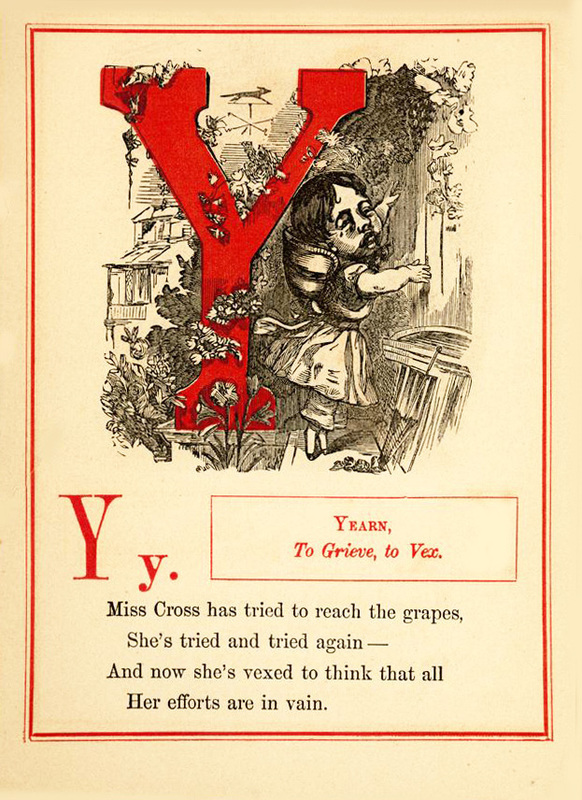 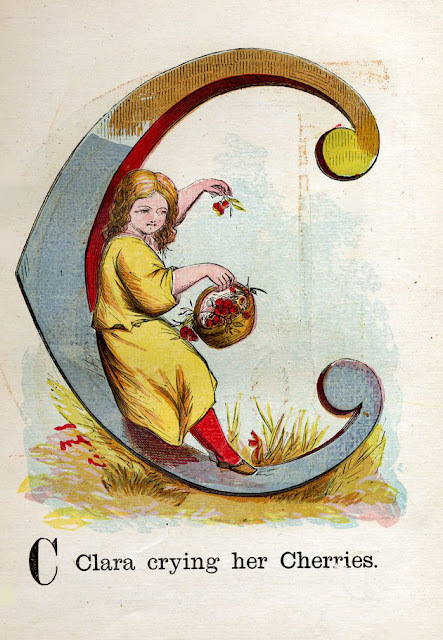 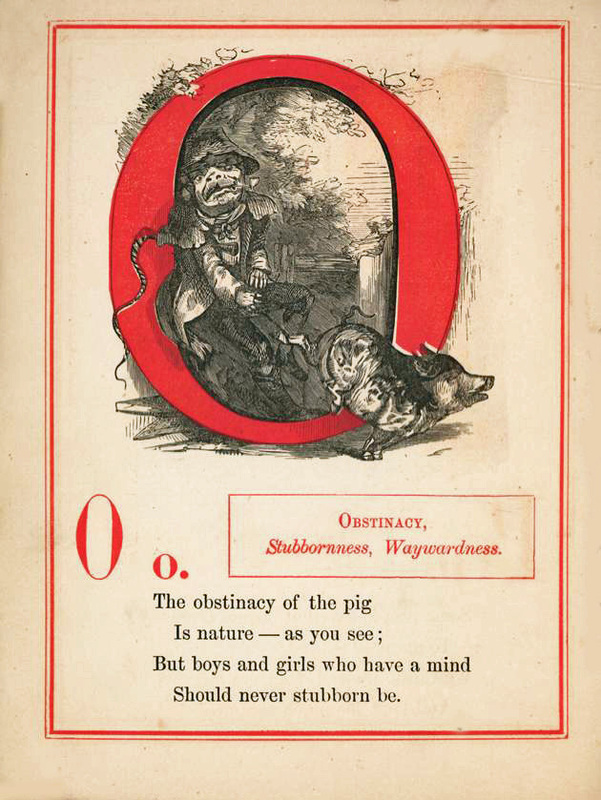 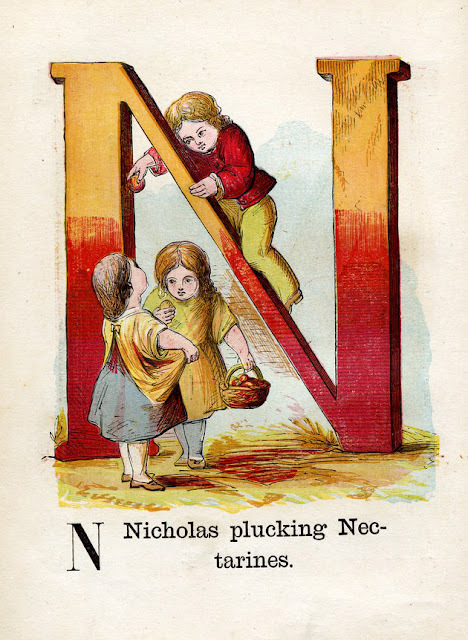 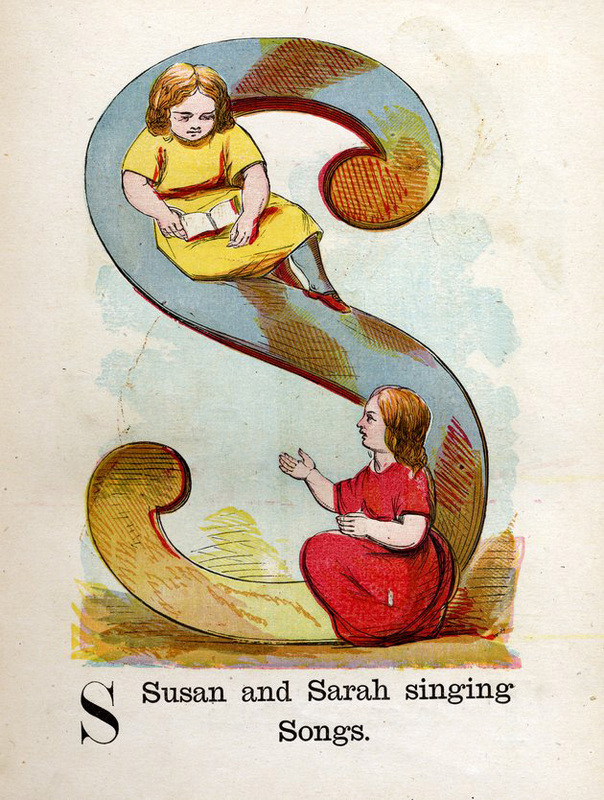 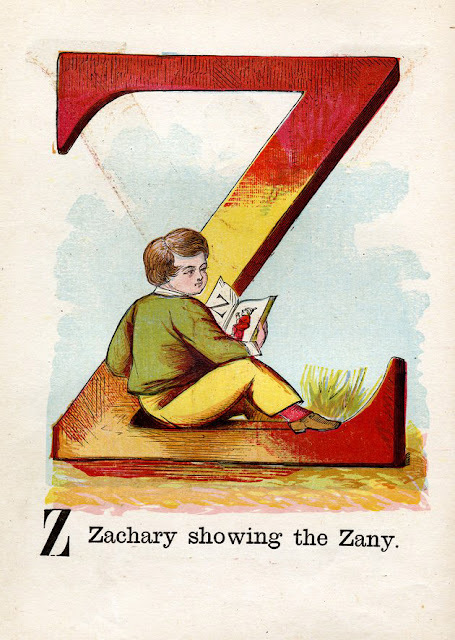 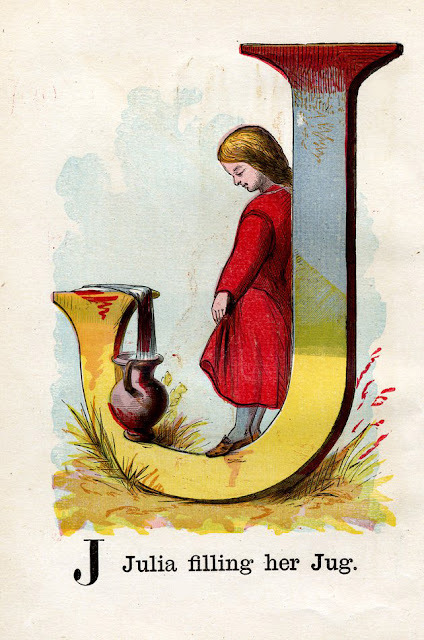 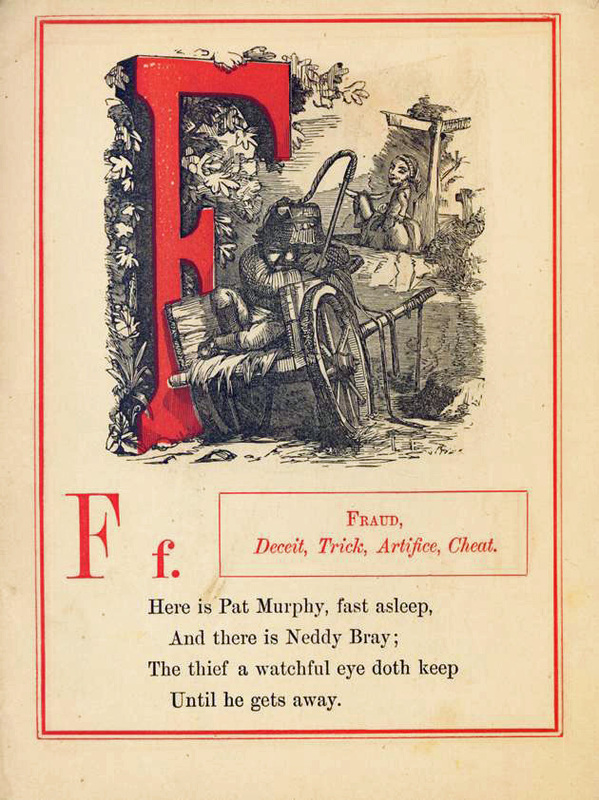 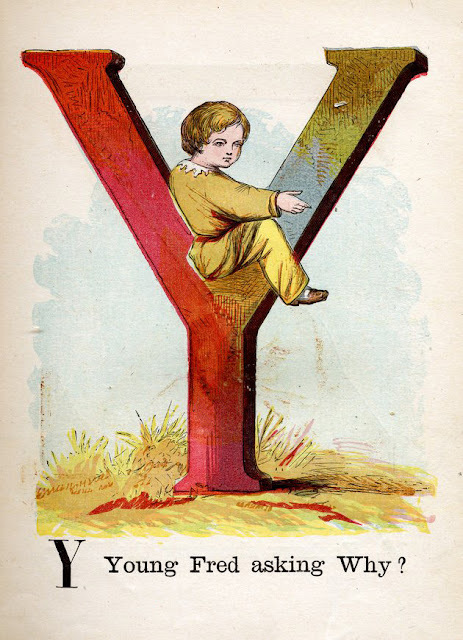 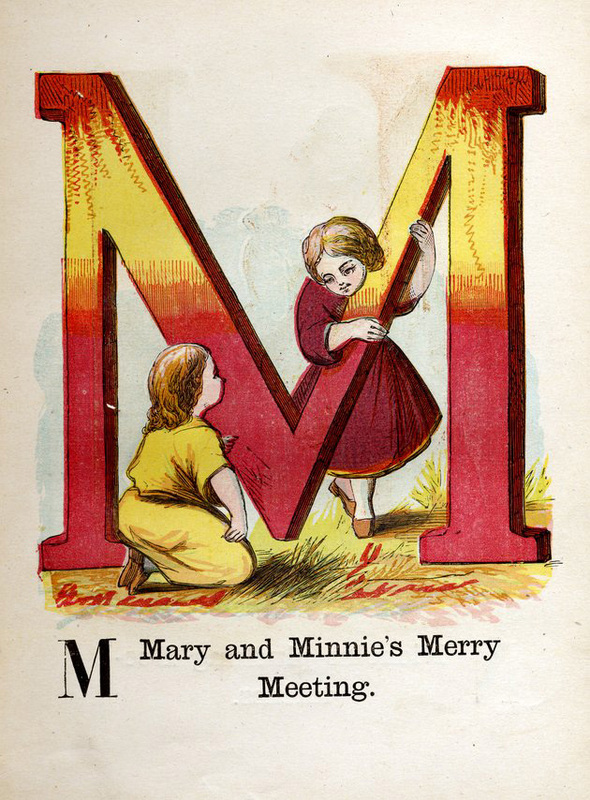 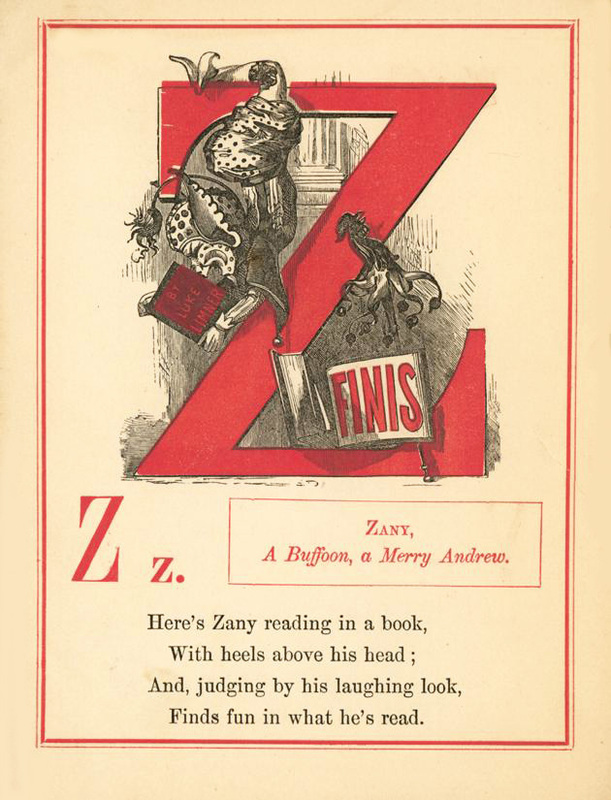 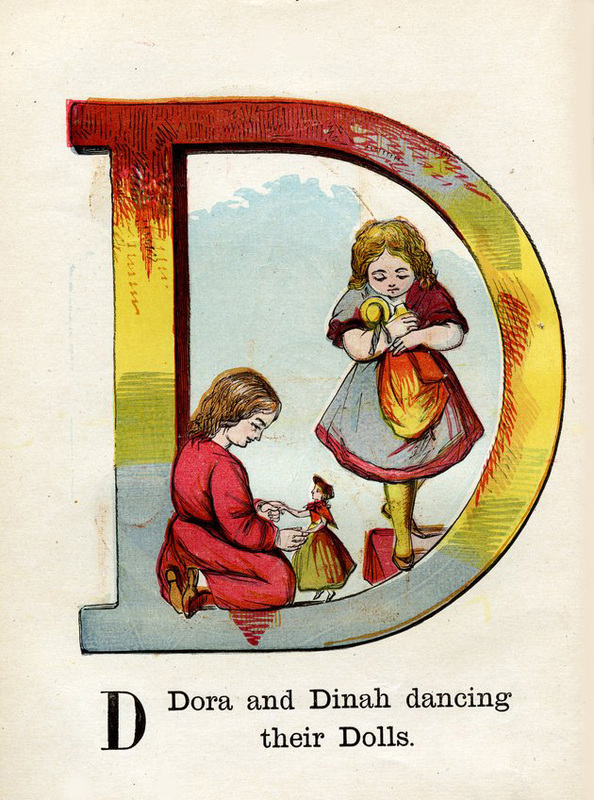 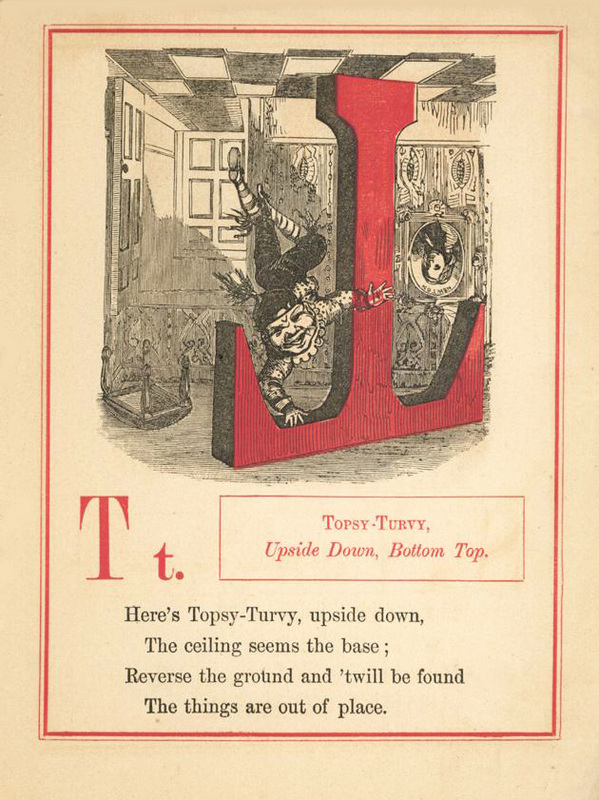 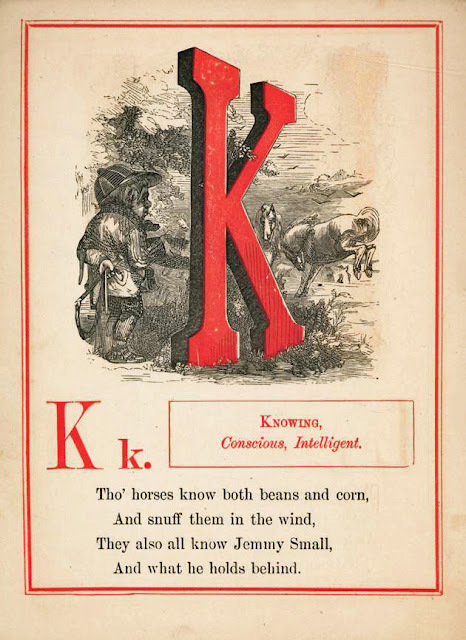 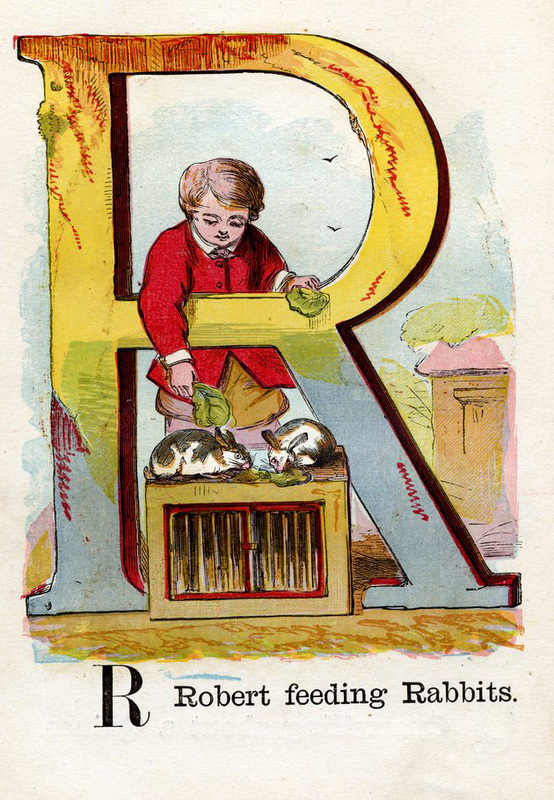 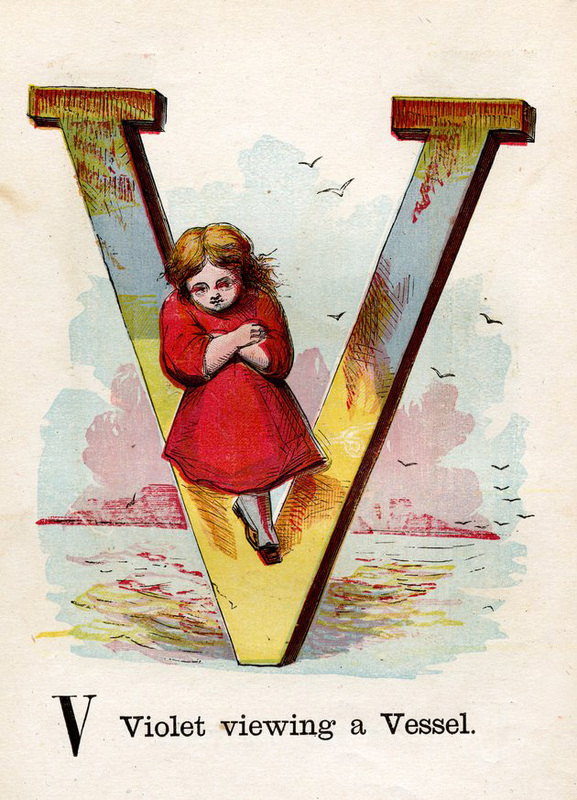 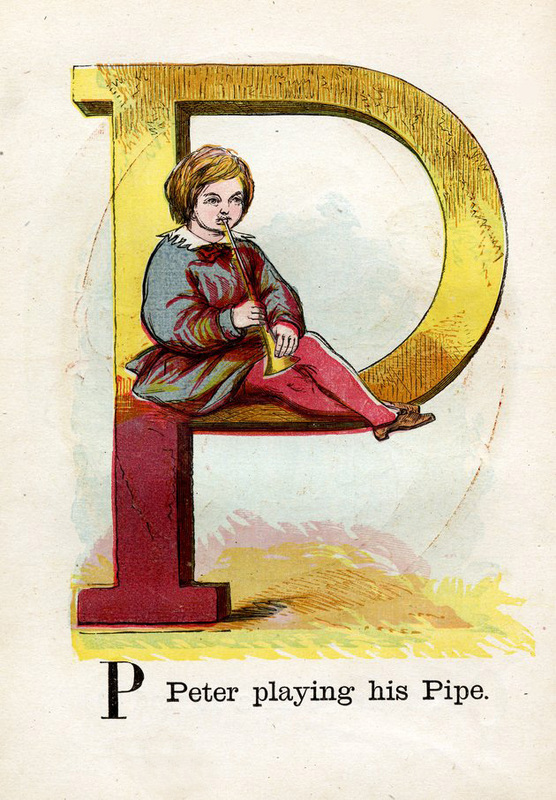 Alphabet Books are primarily designed for children. 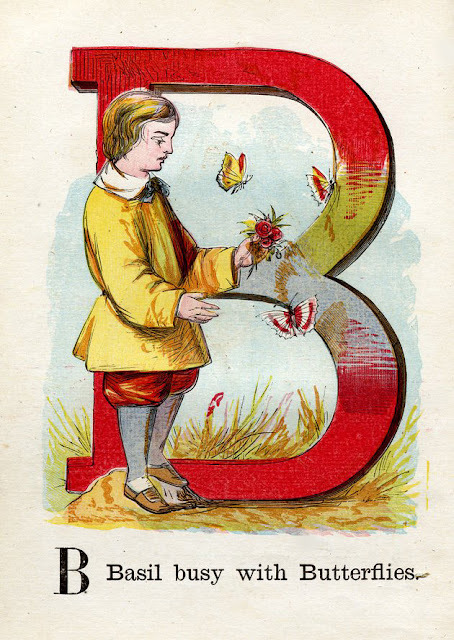 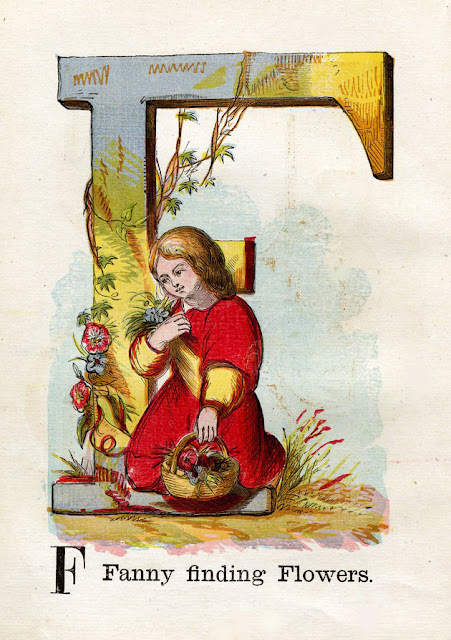 They show the letters of the alphabet with corresponding words and images. They are one of the simplest and most enduring forms of children’s books, a common feature of children’s literature since Shakespeare’s day. 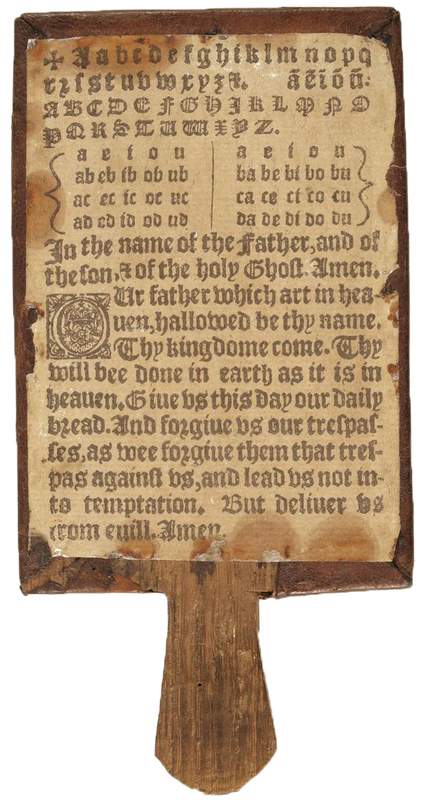 In the sixteenth century, then known as ‘Hornbooks’, they generally consisted of a piece of parchment or paper, pasted on a wooden board and protected by a transparent sheet of animal horn. 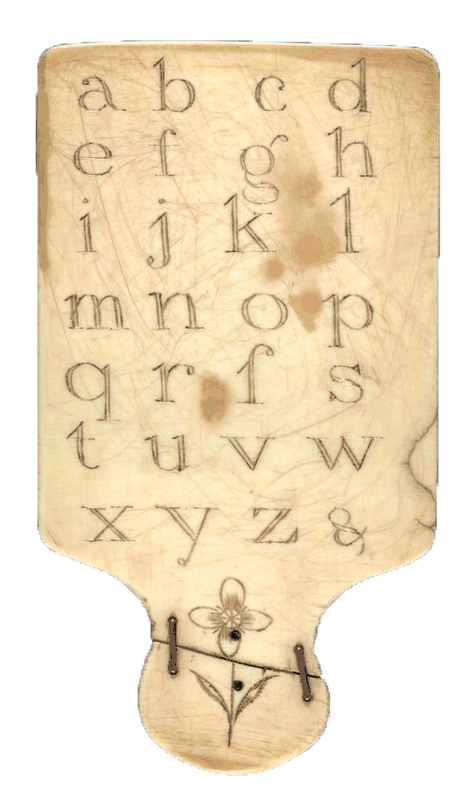 Some examples were also made of ivory. 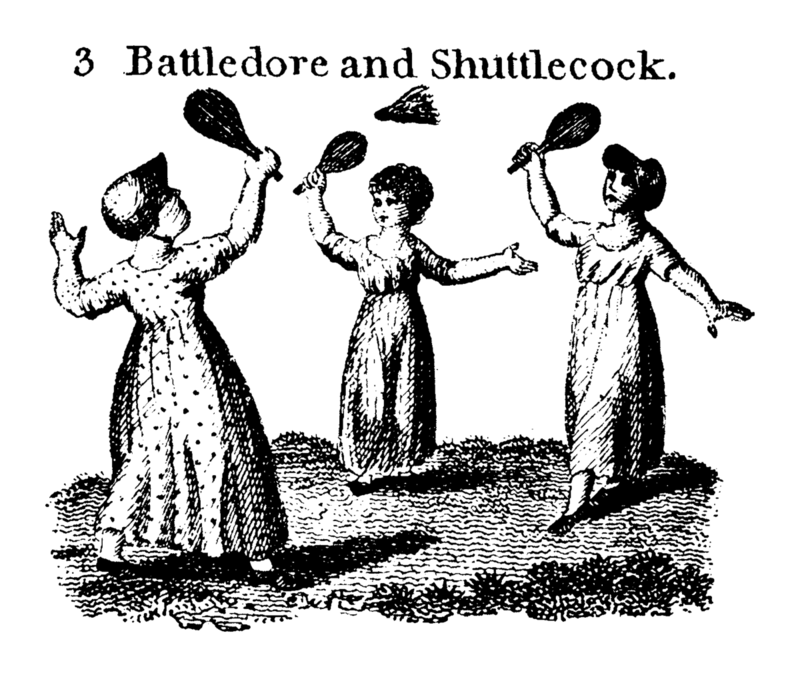 A Battledore was a small racket-like instrument that was used for playing badminton. 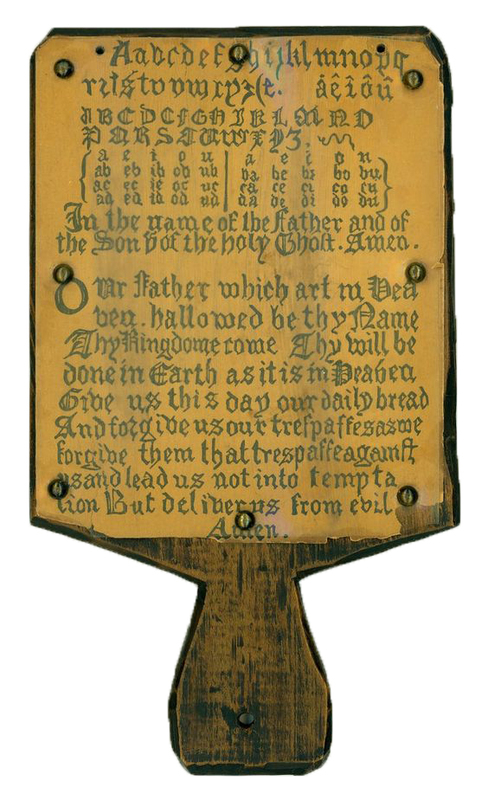 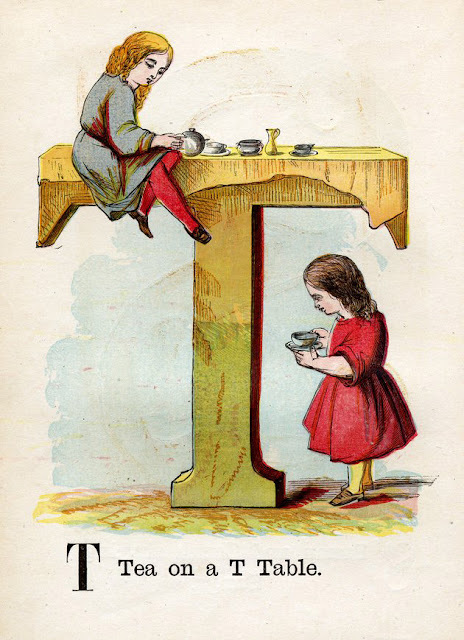 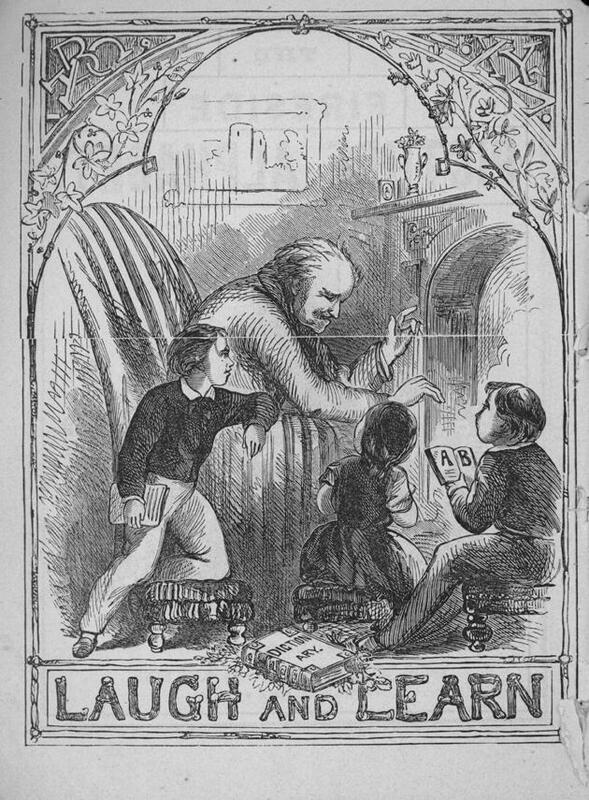 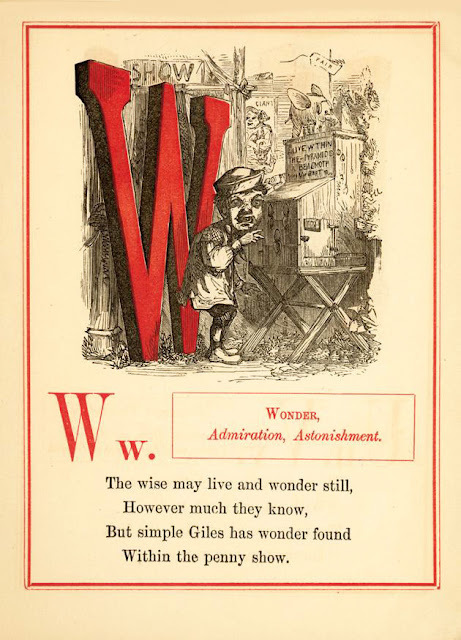 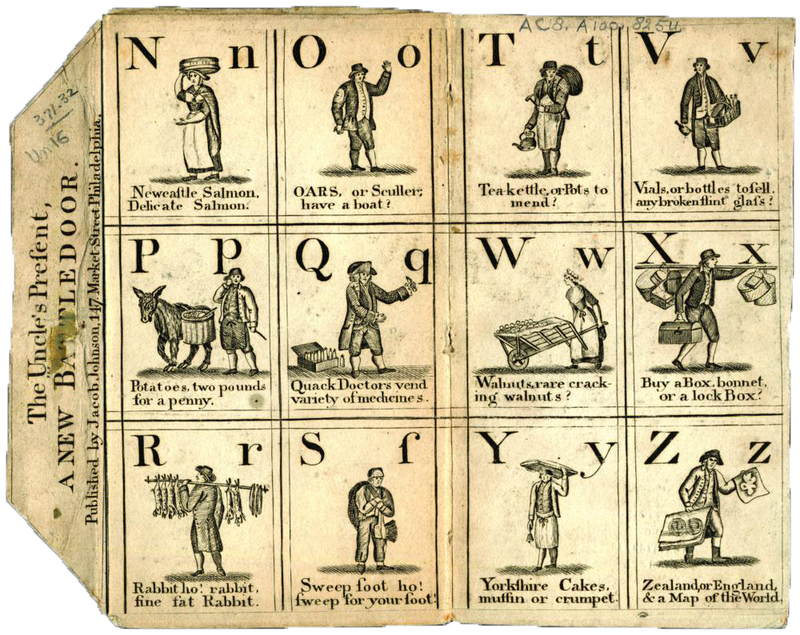 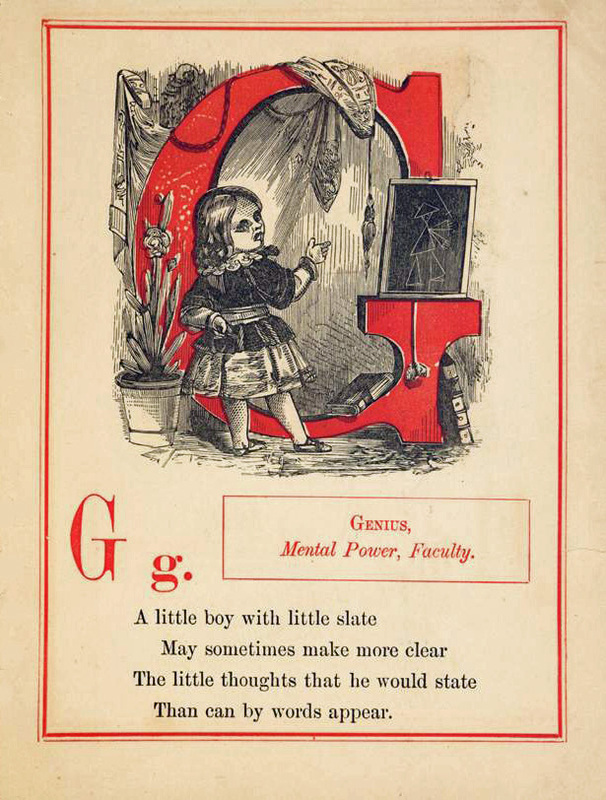 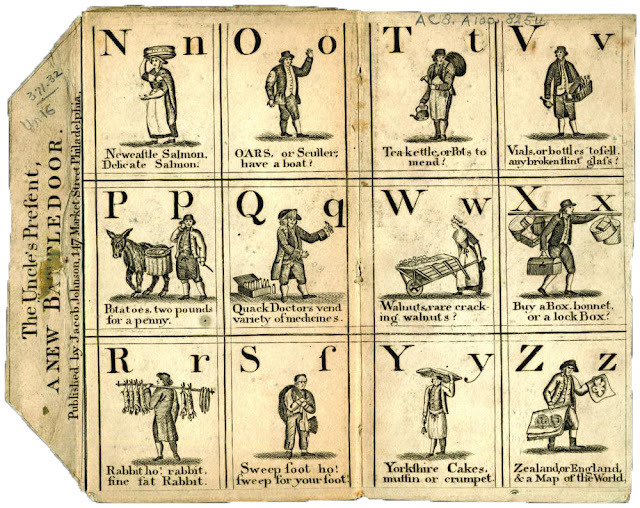 The term was applied to the wooden or cardboard tablets that developed as devices for teaching children to read. 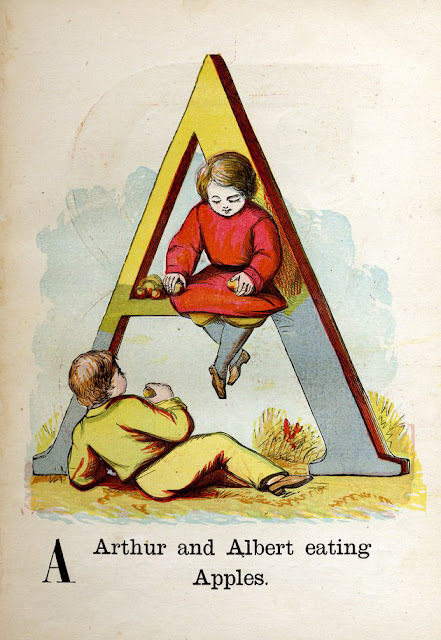 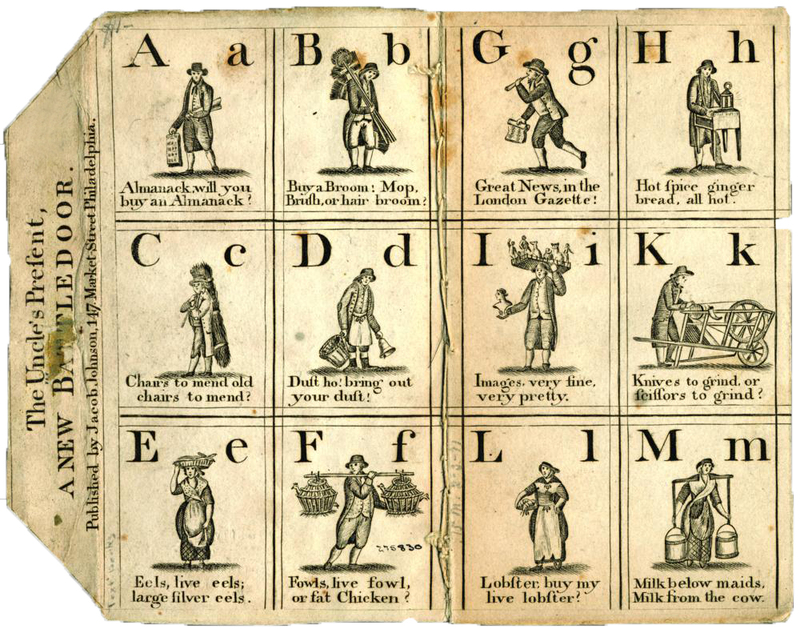 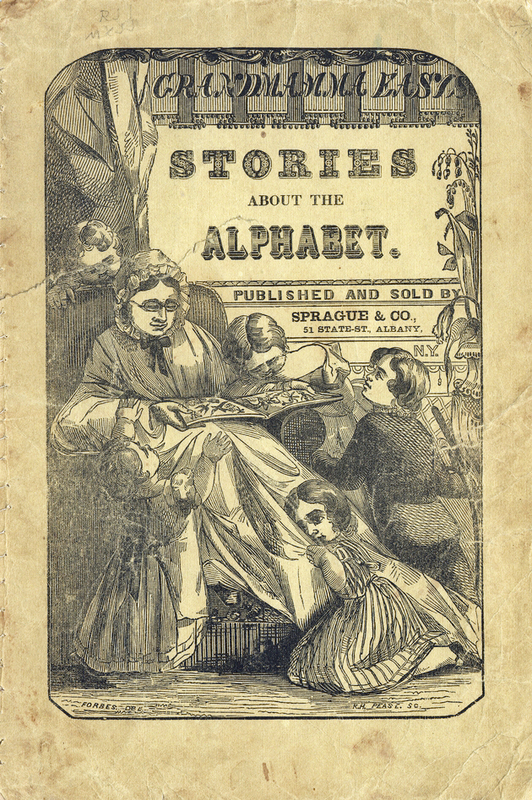 This was the real birth of the modern Alphabet Book. 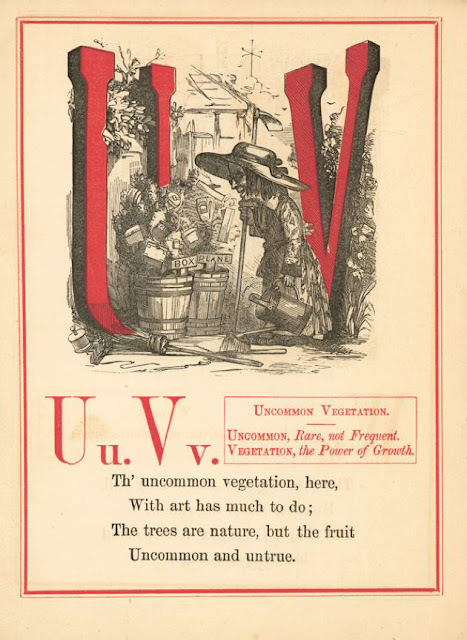 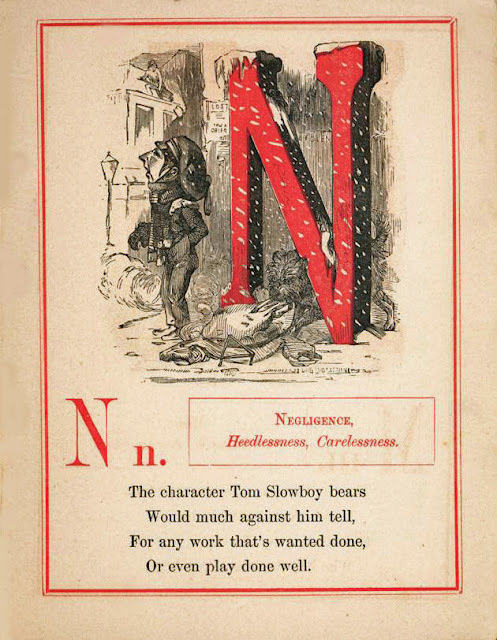 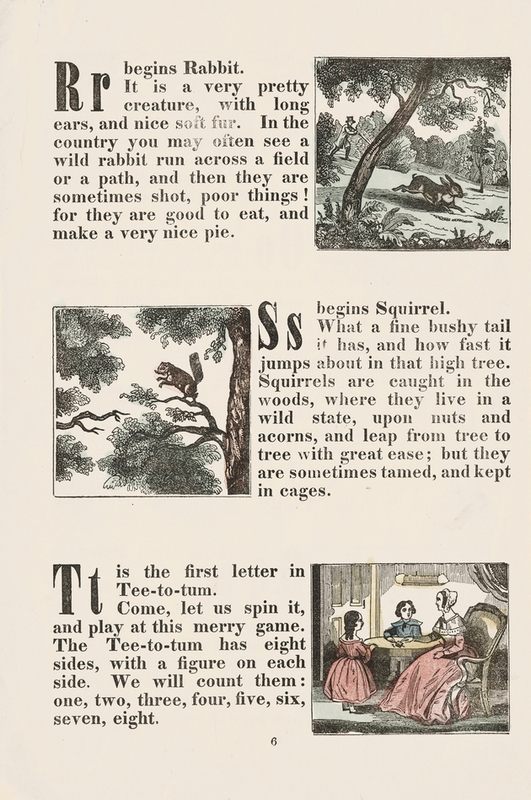 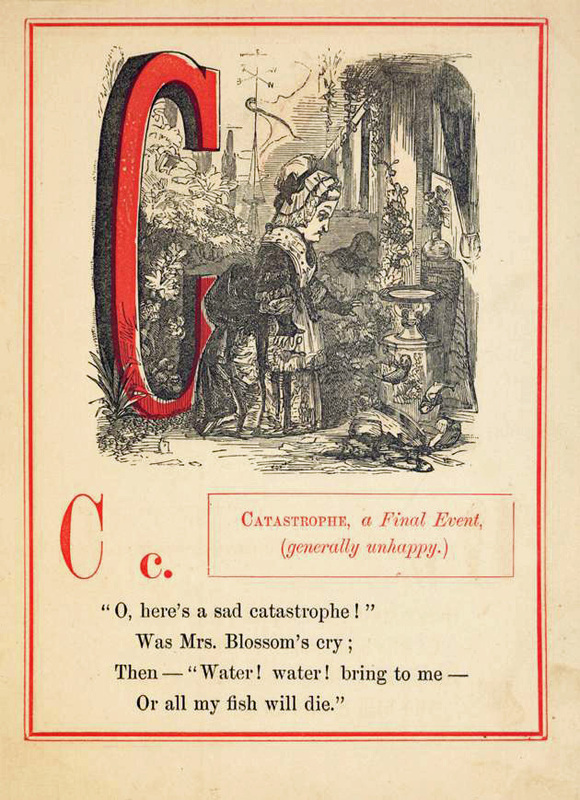 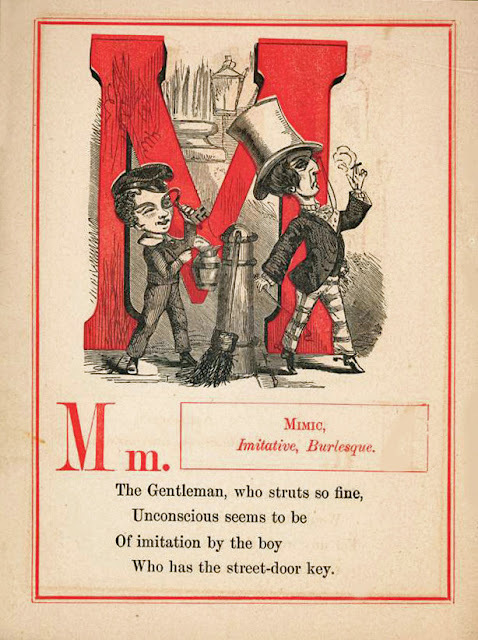 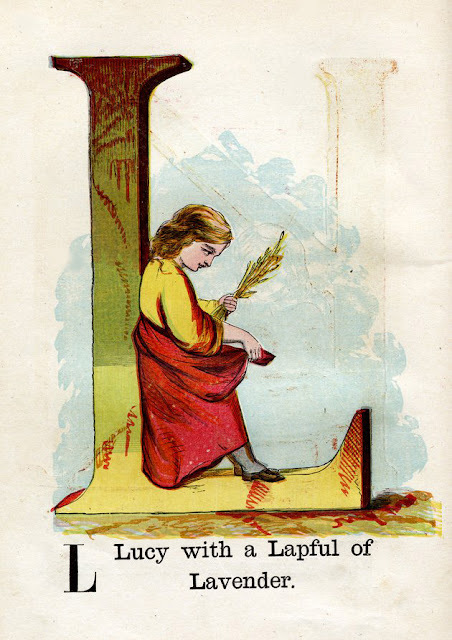 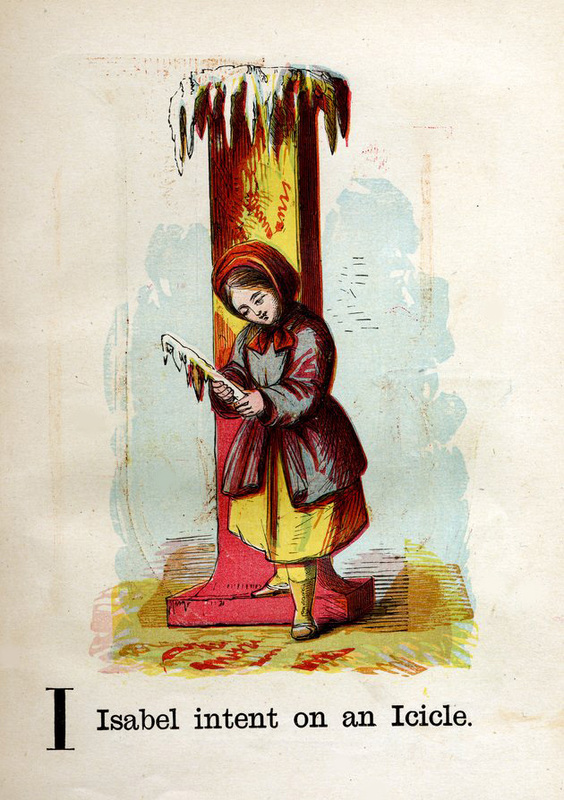 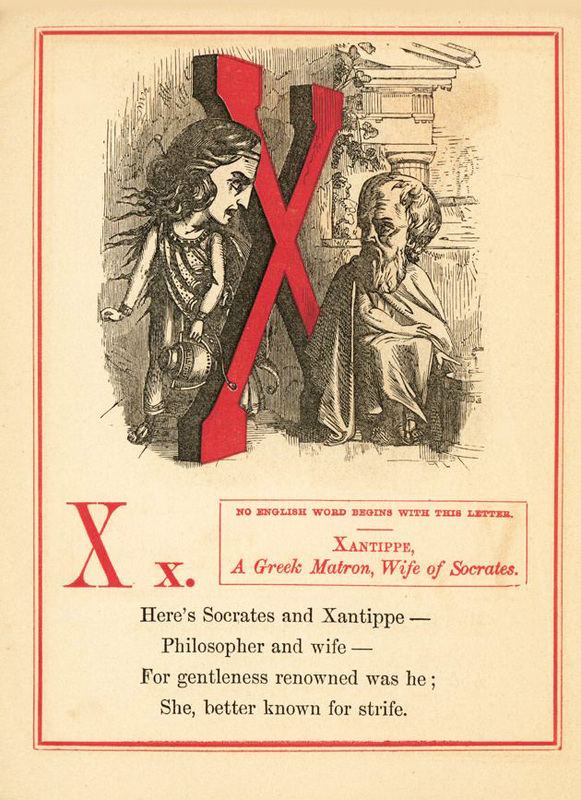 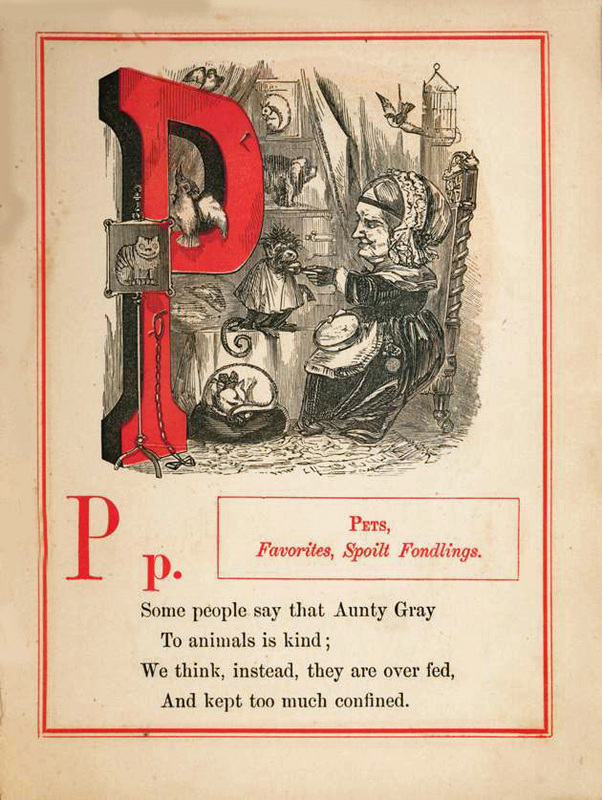 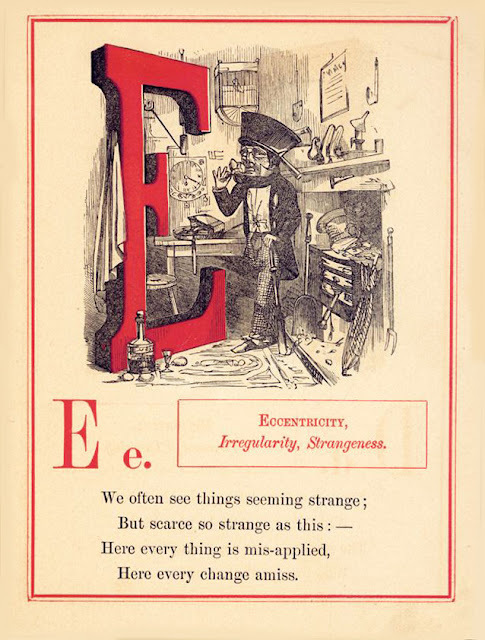 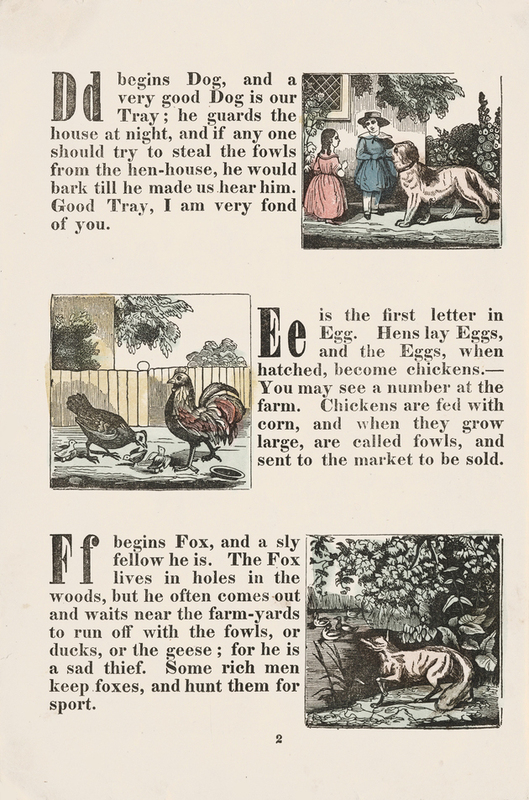 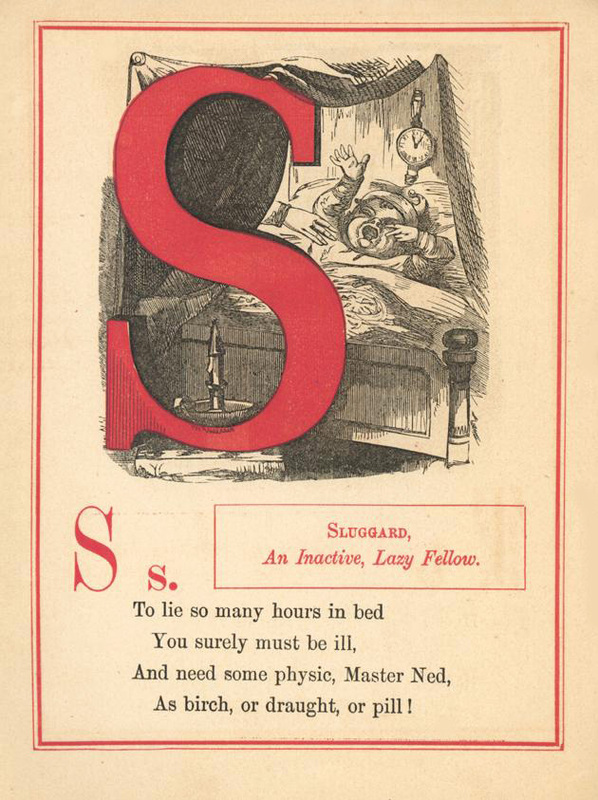 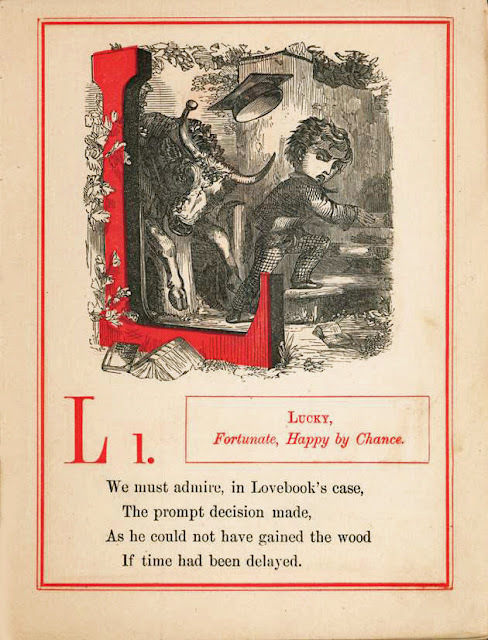 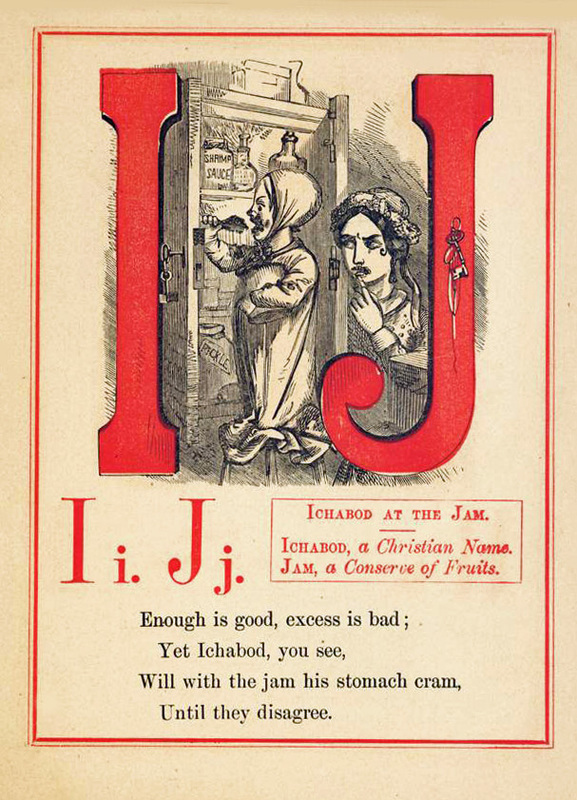 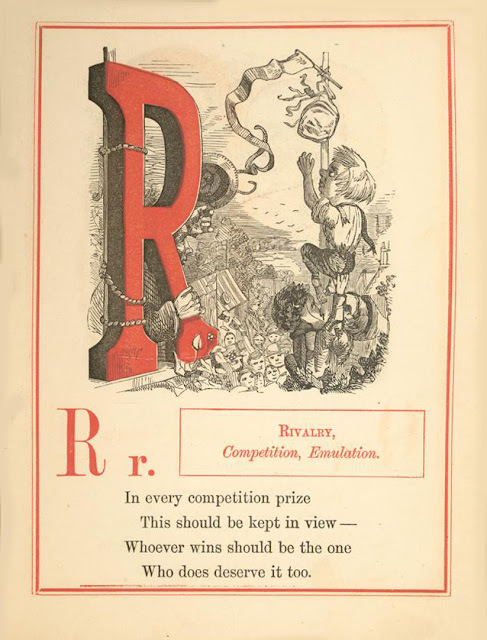 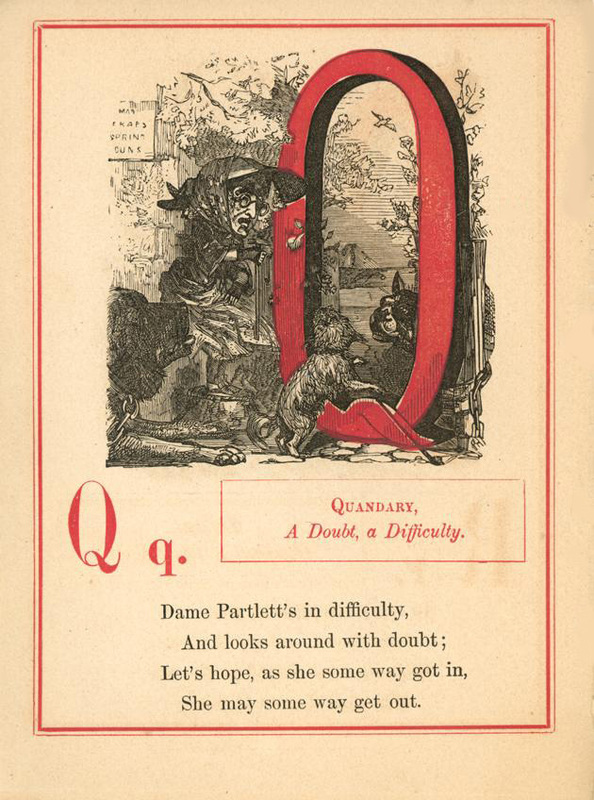 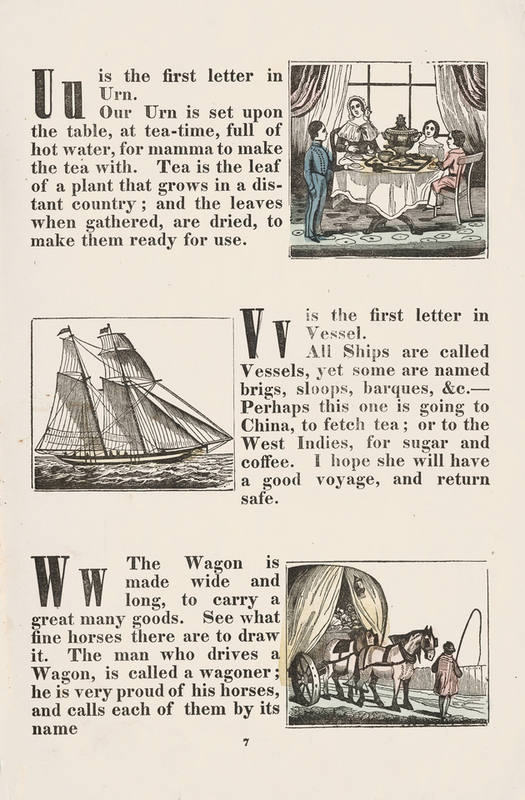 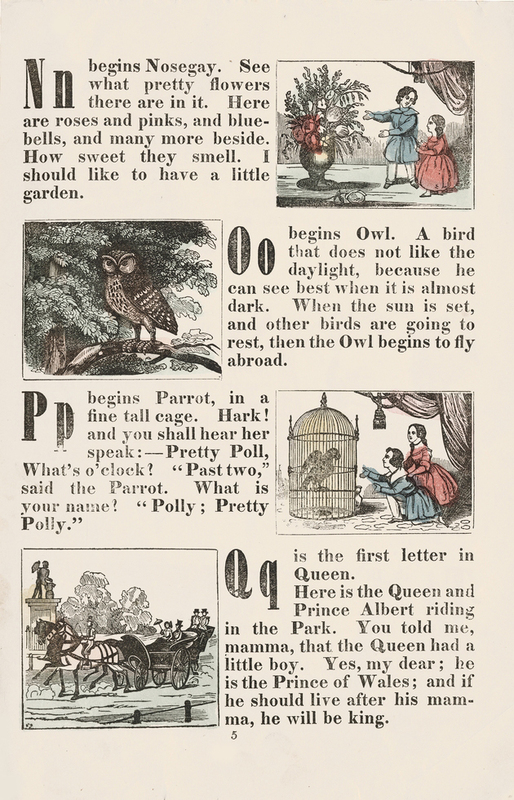 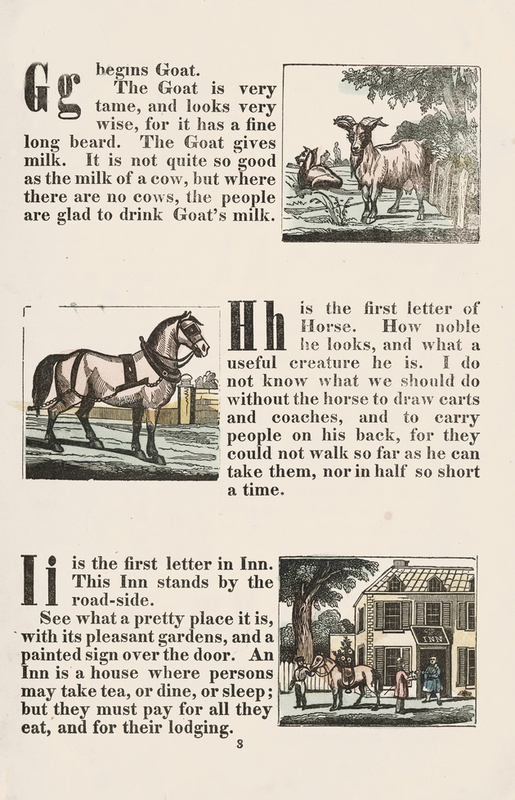 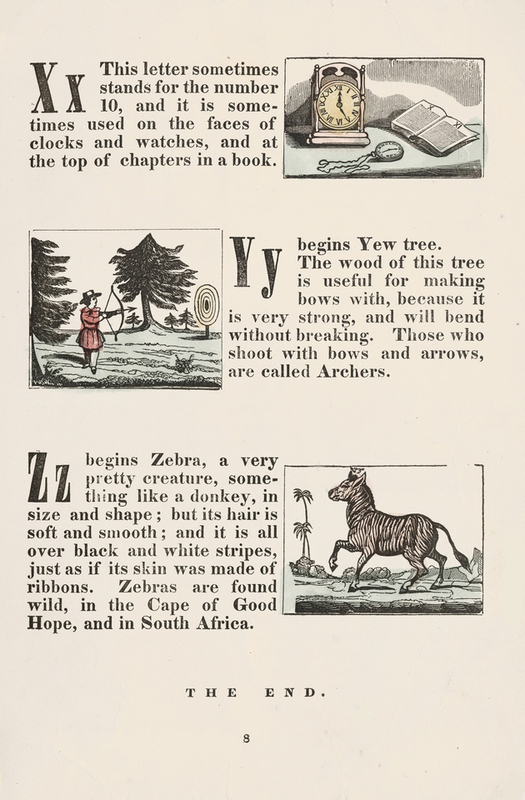 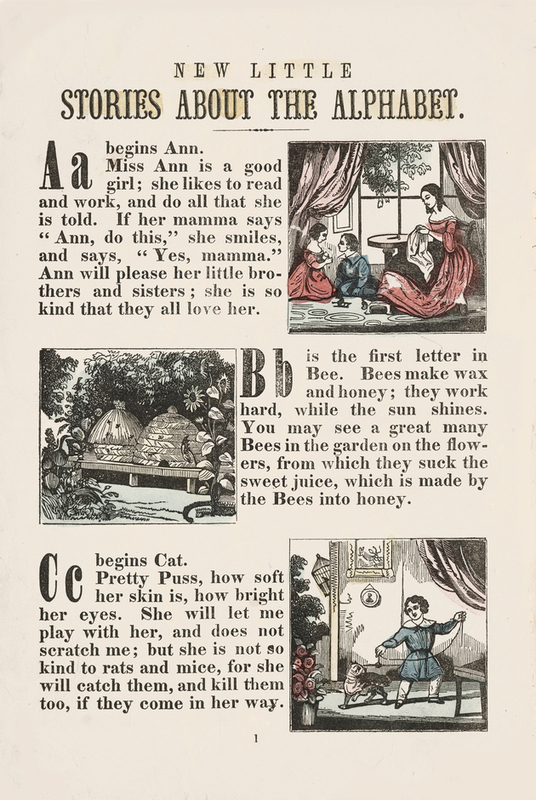 Such texts first appeared in the 1750s and were produced until the middle of the C19th.